Click on the image for the online version. 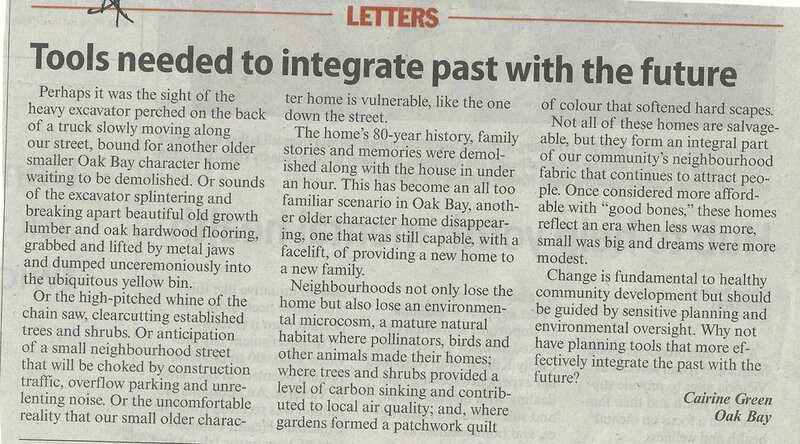 In Committed to Community, ConcernedCitizens Oak Bay, Oak Bay overdevelopment, Oak Bay United housing, Oak Bay United Church, Overdevelopment Tags Define affordable, Oak Bay United Church Housing, Oak Bay United Church development, Oak Bay United Church overdevelopment, Stop Oak Bay United Church, Yes to affordable housing., No to this project. Why build on the most expensive land? Note the carefully selected photo paired with this letter. Does it look like Granite Street has a traffic problem? Not at all. But any street, photographed at a chosen moment, can look as innocuous. If there were truth in reporting, the photo would have been taken on a business day. Or at a time when the church is hosting any of its much-lauded events. At those times, parking is so scarce and tempers so short, it's only good fortune that no major accidents have happened so far. 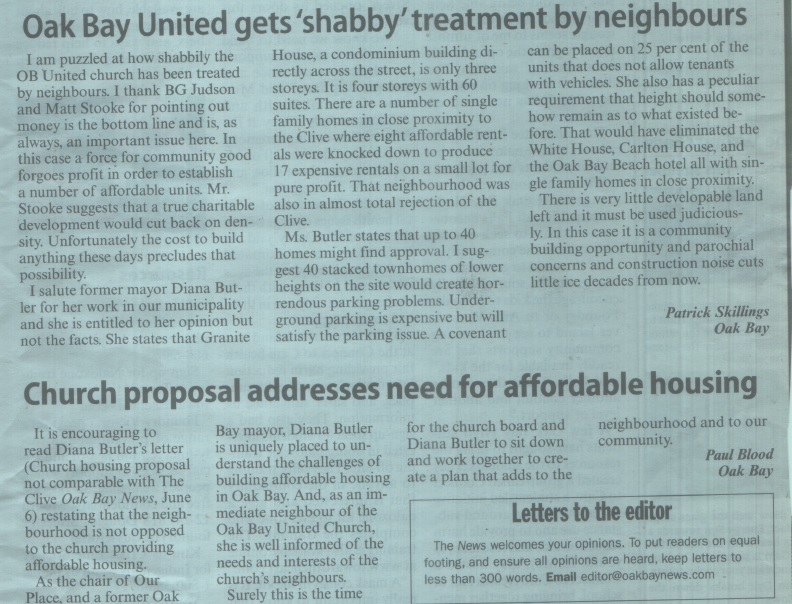 The Oak Bay United Church has $500,000 of taxpayers' money with which to engage PR talents. Was this photo supplied by a spin doctor?